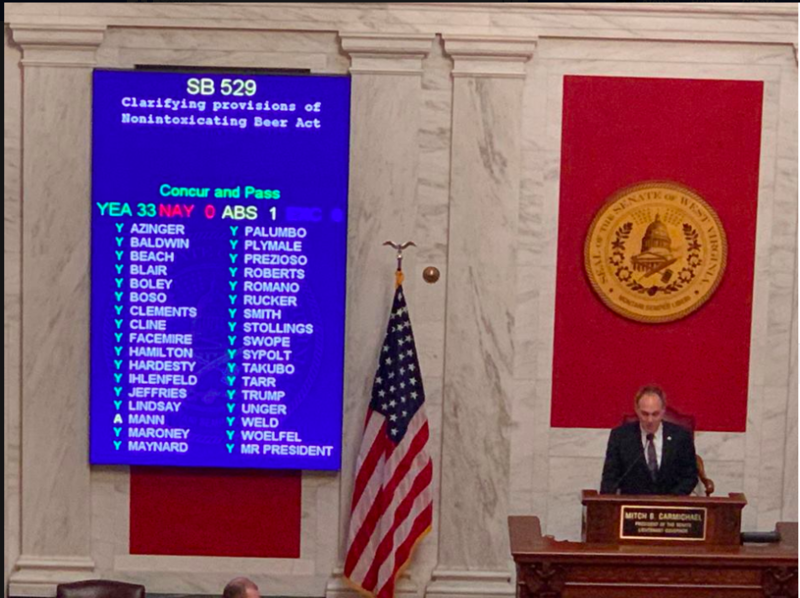 In West Virginia’s latest legislative session that ended on March 9, public attention focused on major education and taxation bills, but missed some important, smaller ones. One of those smaller bills is SB 529, an update of the Nonintoxicating Beer Act. This bill loosens restrictions on craft beers by allowing breweries to sell beer with a higher alcohol content and expanding the maximum size of breweries, among other changes. 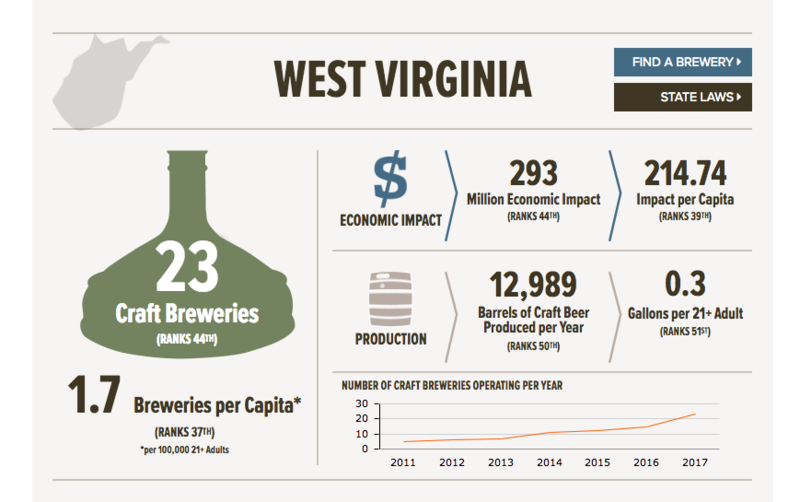 In doing so, West Virginia moves along with a national state trend in developing its craft beer industry. For West Virginia, once a dry state, the bill passed easily. Introduced in March by State Senator Charles Trump (R-Morgan Co.), it passed the House 84-16 and the Senate with a unanimous 33-0 vote in a rare moment of bipartisanship. Governor Jim Justice signed the bill on March 26 and the law takes effect on June 6 when breweries can get to work on some new brews. Vote count on SB 529. Via the WV Craft Brewers Guild Facebook page. The bill was welcomed by the WV Craft Brewers Guild (WVCBG), a group of 16 breweries across the state. Some brewers noted the bill will give breweries more creative potential, WVCBG President Aaron Rote said. The state’s Alcohol Beverage Administration classifies craft beer as “nonintoxicating beer.” So why is craft beer called “nonintoxicating beer” when beer is quite obviously intoxicating? It’s a holdover from the Prohibition era, when the term “nonintoxicating beer” referred to beers that were around 3 percent alcohol. The new law increases the previous limit of 12 percent to 15 percent. 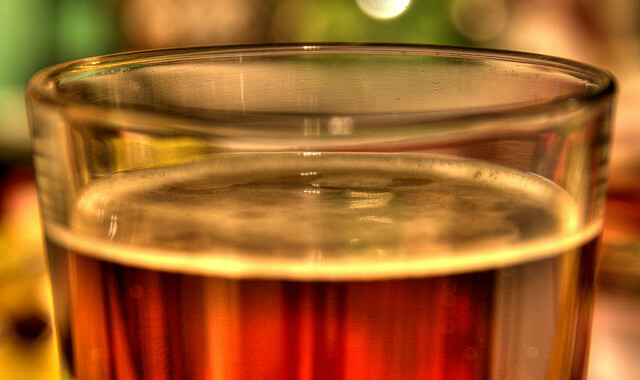 Breweries are expected to release new brews with higher percentages this summer. Growlers on a shelf. Via Flickr. Another perk of SB 529? A House amendment stripped the previous limitation of two growlers per customer. 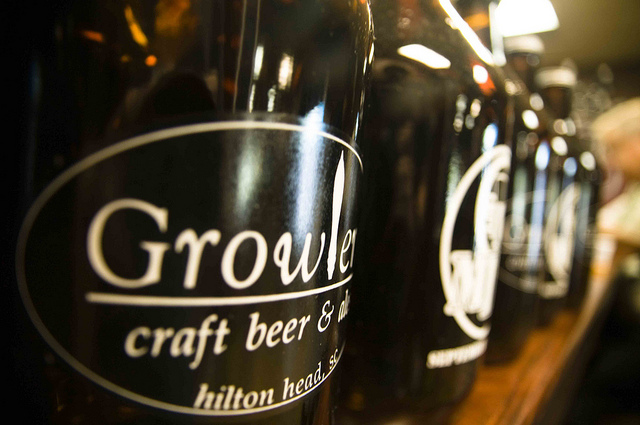 A growler is a jug in which breweries can sell beer straight from the tap. Now, customers can buy as many growlers as they see fit. Another amendment increased the maximum growler size from 64 fluid ounces to 128. The growler amendment also has the benefit of being environmentally friendly, as it uses no cans or bottles. This bill offers some big wins to brew fans and many see it as another step toward lowering state restrictions on developing the brewing economy. West Virginia lags nationally: For craft beer drank per adult, West Virginia ranks last at 51st (including Washington, DC). Even so, the industry has made leaps and bounds in the past 10 years. There were total of 6,266 breweries nationwide in 2017, and the number only seems to be increasing for an industry estimated to be worth $26 billion. Only three breweries existed in West Virginia in 2009; now, 23 are in operation. The few original longtime breweries are staples in their communities. But that number is paltry compared to neighboring Pennsylvania, which is home to 282 craft breweries, 6th in the nation. Kentucky is a more comparable neighbor with only 53 breweries, ranking 33rd. Monday night at Wheeling Brewery Company, founded only in 2014. Newer breweries are popping up in communities across the state. 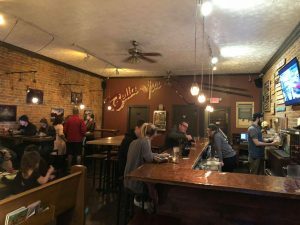 The Peddler in Huntington jump-started brewing again in the city. Prior to the Peddler, the last brewery closed its doors about 20 years ago. Other breweries have focused on the outdoor tourism industry in West Virginia. Some towns that draw significant numbers of outdoor tourists, such as Fayetteville and Elkins, are developing brew industries. West Virginia Tourism Office boasts three “Craft Beer Trails” which are shaped in the south by outdoor sports mostly along the New River. And these new breweries are not overshadowing longtime favorites such as the North End Tavern (“the NET”) in Parkersburg and Mountain State Brewing Co. in Morgantown. Whether old or new, breweries across the state are sharing brews and collaborating on festivals. At the North End Tavern, customers can often purchase beers from Bridge Brew Works and other West Virginia breweries. The second annual WV Craft Brew Fest will be held this year on April 27th at the state fairgrounds near Lewisburg. Nut Brown Ale from Mountaineer Brewing Co. Via Flickr. While the West Virginia brew economy has a long way to go, this is another important step in bringing together economic innovation, tourism, and “liquid culture.” Cheers. 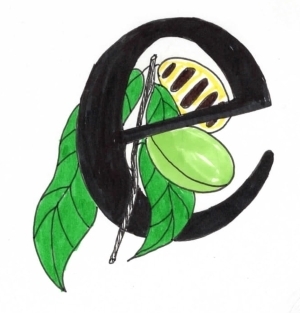 Alena Klimas is a writer and cofounder of expatalachians. She writes on policy and social movements in Appalachia. Her favorite brewery is Jackie O’s Pub in the rolling hills of Athens, Ohio. Her favorite West Virginia brew is Mountain Momma Pale Ale from Bridge Brew Works of Fayetteville, West Virginia.